They don't make them like they used to… Or do they? Vintage-inspired watches are extremely popular today, pairing the classic look with modern mechanics, so you can get the best of both worlds out of your timepiece. Subtle, timeless, and irresistibly cool, nobody can resist the old school appeal of a vintage design. We've compiled a selection of our favourite throwback watches for men and women, so you can bask in the past and add a touch of retro to your wardrobe. 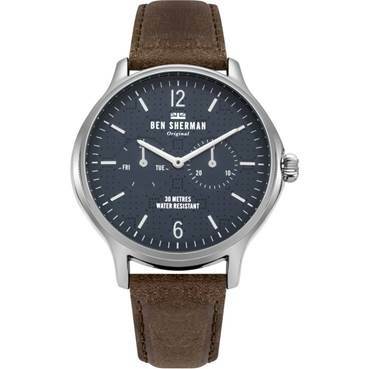 This attractive Ben Sherman watch is a piece of history brought to life. Ben Sherman has remained consistently popular amongst vintage lovers, thanks to the prominence of the brand's clothing during the iconic Mod period. Today, Ben Sherman watches showcase the best of 60s British fashion, with a modern twist. This men's watch features an attractive brown leather strap and handsome deep blue face, a subtle but clear nod towards traditional men's styling that still looks dapper today. The chronograph - which is framed by the otherwise simple time markers - shows the day and date, making this affordable watch not only attractive, but functional, too. 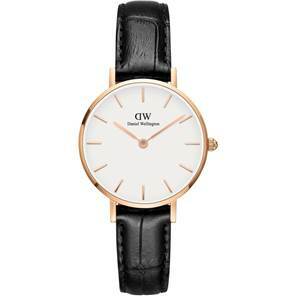 The ladies' Daniel Wellington Classic Petite Reading watch brings unexpected elements together to create a vintage-inspired piece that's both subtle and sophisticated. Traditional elements like black leather and rose gold come together in the perfect tough-meets-pretty balance. Based on a simple but stunningly effective classic watch design, this petite watch takes a traditionally masculine look and reinvents it for the feminine wrist. The black leather strap, gold case and time markers, and stark white face combine to create a truly vintage-style watch for women, great for work and other smart occasions. 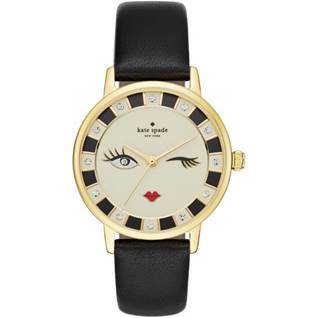 Vintage design gets a quirky twist in this eye-catching ladies' Kate Spade New York Metro Wink watch. Kate Spade New York watches are fun, flirty, and just a little bit offbeat, making them perfect for the girl who likes to wear her personality loud and proud on her wrist. This watch has a vintage spin that pays tribute to the classic French posters of the early 1900s. Think La Chat Noir, and you've got yourself a kooky, vintage inspired watch with a difference. Make a statement with this stunning black and gold watch, perfect for work and play. Olivia Burton is a brand that seemed to appear almost out of nowhere, creating pieces that anyone who loves vintage style won't be able to resist. Affordable and beautifully designed, Olivia Burton is the go-to brand for those looking for a classically English watch with an elegant design twist. 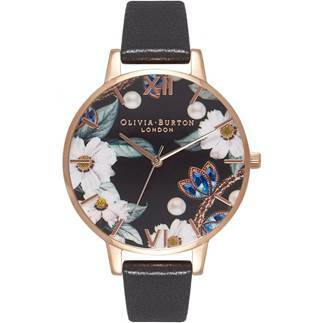 The ladies' Olivia Burton Bejewelled Florals watch is inspired by classically British countryside fauna, given a glamourous edge with gold and jewel tones. Let it stand out against an all-black outfit or pair it with a bright blue blouse for a coordinating pop of colour. Arguably one of the go-to vintage style watch brand for men, Junkers creates emblematic watches for men, paying respect to the greatest achievements in German design. 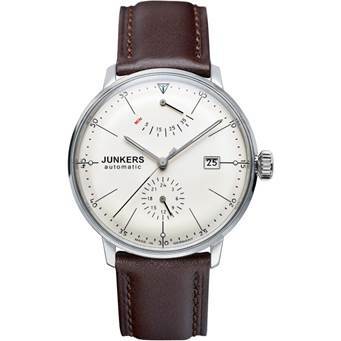 The men's Junkers Bauhaus watch is a perfect example, boasting precision and classic design. The Bauhaus style that put German design to the global forefront is realised in this clean, precise, and attractive timepiece. The off-white face is matched with a deep brown leather strap that adds a quiet elegance, while the time markers and chronograph features are unusual enough to catch the eye without being overbearing. Perfect for the modern gentleman who favours vintage style. Vintage inspired watch design is endlessly popular - explore more of our favourite vintage watches for men to browse the hottest throwback pieces.